For the individual with a keen interest in the field of astronomy, a good pair of binoculars provides a valuable experience in your quest to satisfy your interest. 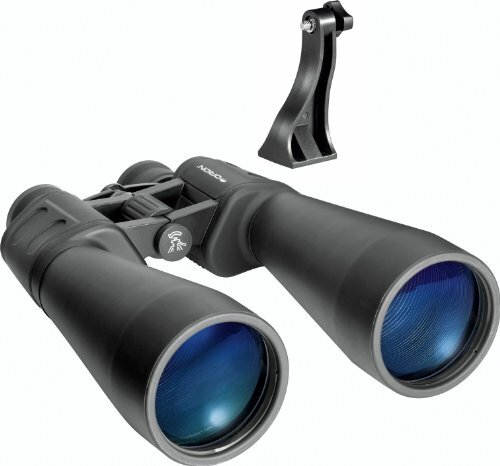 It is worth noting that your pair of binoculars will have a hard time matching the level of detail you will experience with a telescope, but you will be able get a decent amount of detail in your view, and binoculars are definitely much easier to transport to areas with better viewing conditions at night. Especially for the beginner or new astronomer, a pair of binoculars offers a good learning platform as you advance your hobby and skills. The wide field of view offered by stargazing binoculars is one advantage that you will experience over the telescope, though the detail will be lower. Your set of binoculars can be useful as a complementary instrument even if you own a telescope; the binoculars can help you identify the general area to view, and you can then use the telescope to hone in and acquire greater detail. If you’re in the market for the best binoculars for stargazing, take a look at some of these great options below. The binoculars discussed in this article all vary somewhat in terms of features, but some of their important considerations include weight, image contrast, magnification intensity, and budget. These are all elements you’ll need to consider before making your final decision. The Celestron SkyMaster set of binoculars is a good option for anyone with a desire to enjoy stargazing while working with a tighter budget. The quality BAK-4 prisms and multicoated optics assure you of image quality with decent contrast. The binoculars are water-resistant and feature a protective rubber grip system. The lenses have a multi-coating to protect against dust and water but also to provide clear views. This set also delivers good viewing for terrestrial use and comes in at around $70. The Celestron SkyMaster 15×70 binoculars are an instrument worth your money. In terms of budget, these offer high value given the relatively low price and good performance. These are a definite buy for the amateur astronomer and the advanced user as well. This set of Orion 15 x 70 Astronomy Binoculars is made to offer you bright views of the night sky at a relatively affordable price. Its 70mm objective lenses and 15x magnification ensure you enjoy high-power views of the sky. This set also offers good view of daytime terrestrial areas and practical functionality in any setting. Enjoy optimal contrast through the fully coated optics and high quality BAK-4 prisms for good authentic images. A proper eye relief accords those wearing eyeglasses a chance to use these instruments comfortably. The size of these binoculars allows their use with hands only, but to optimize your experience the use of a tripod is advisable, especially for those long viewing periods. The price for this set is about $80. Limited one-year warranty from purchase date against defects in materials or workmanship. This is a great value-for-money purchase. These offer good terrestrial capabilities over and above performance for stargazing, which makes them a good buy for other uses as well. 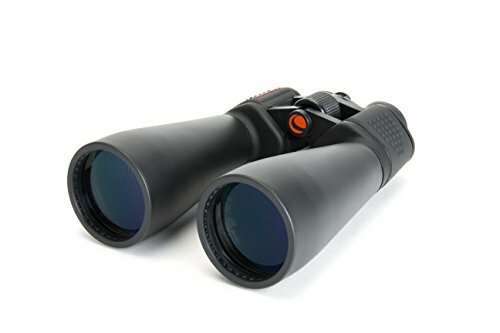 Most customers reveal that they believe these are the best binoculars in this price range, and they really help you see planets and other elements of the night sky in extreme detail. Further discussing this amazing astronomy binoculars from Orion, here is a short video that tells you some important tips about the use of the product. It is a large and heavy binoculars to which can let you gaze upon the sky and the stars. You definitely would want a set that serves the scenery well and with a tripod. The Celestron 71008 SkyMaster is part of the large-aperture binoculars series from Celestron, offering high performance for stargazing and also terrestrial use. The superior-quality BAK-4 prisms, which are standard to the SkyMaster series, offer enhanced viewing. The multi-coated optics provide enhanced contrast, enabling differentiation of various objects in view and protection from dust and debris. The lenses are also completely waterproof. The price for this set is around $100. The 25 x 70 SkyMaster model is up there with the best stargazing binoculars that offer real value and can easily be carried around, although not for very long. The 25x powered magnification gives you plenty to work with along with slightly improved detailed viewing. This would be a good buy based on the performance and price. You’ll definitely want to have your tripod stand close by when you decide to fully engage in stargazing. The Obwerk 15 x 70mm Binocular offers individual eyepiece focusing with well over 300 degrees of adjustment range, and it’s easy to adjust. The rugged rubber-armored metal bodies give a feeling of quality and uniqueness. You will enjoy suppressed light loss due to reflection and minimized scattering offering you a good view. These cost about $150. 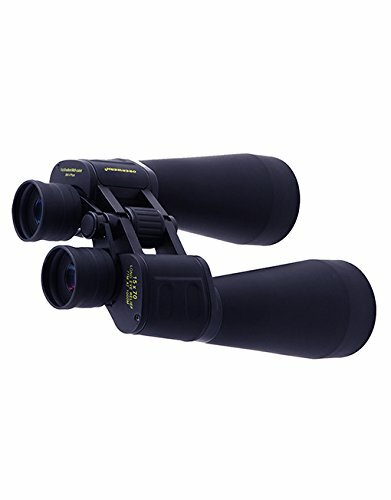 The Obwerk 15x70mm Binocular is a mid-range set that offers good performance very close to other binoculars options that will see you spend close to $250 for a set. The extra performance features make this a good buy, especially for the price range. You’re definitely getting great value for the money here. The Celestron SkyMaster 25 x 100 binoculars come in weighing 9.75lbs, and in common man’s language that’s what’s called “heavy.” This should not dissuade you from considering this set of binoculars, as they come with an integrated tripod adapter that will help you overcome this weight issue. This set of binoculars has 4-millimeter exit pupils (the bright spots of actual image), which might look small surrounded by the large-looking 20mm eyepieces, but they’re big enough to fill most adults’ dark-adapted eyes. They come in at a price of $281.99 and are best suited for the experienced stargazer who will be able to utilize the advanced capabilities to the fullest. The Celestron SkyMaster 25 x 100 binoculars are a good set worth investing in, especially if you are an experienced astronomer. 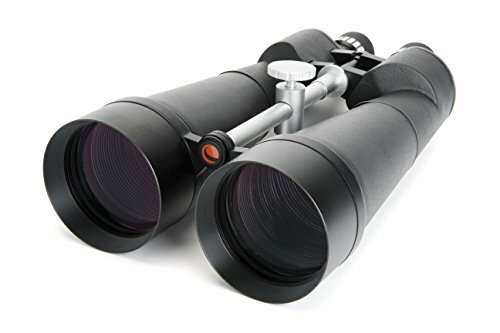 You might want to have a smaller pair of binoculars if you are not as serious about your stargazing hobby, as you may have a hard time carrying these around because they’re so heavy and powerful. The price justifies the performance offered by this set by far, but it might be a little too much to handle if you’re a beginner looking for a more casual set. The binoculars reviewed here all offer value to the user, and depending on the need that you intend to meet, any of these instruments will be able to serve you greatly. You may want to consider the level of involvement you have in stargazing as well as alternative uses for your pair of binoculars over and above stargazing. 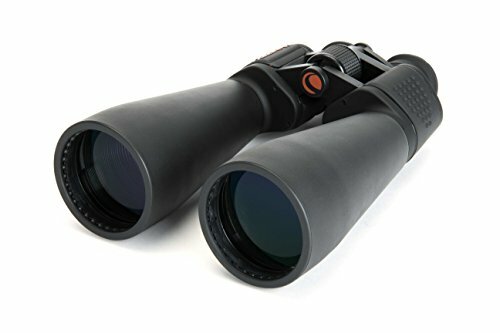 Overall, the Oberwerk 15x70mm Binoculars take the top spot as the preferred stargazing set of binoculars, as they offer a good balance between money spent and performance. Their versatility also meets the needs of the beginner and the experienced stargazer. Coming in second are the Orion 15×70 Astronomy Binoculars. These are a budget instrument offering decent capabilities to beginners and also the slightly experienced stargazer. The Celestron SkyMaster 25X100 ASTRO Binoculars come in third and not because they’re an inferior product but largely because the average stargazers (who happen to be the majority) might end up paying top dollar for a device that they will underutilize. This set would be recommended as a top choice for the seasoned stargazer.